British Columbia Golf is a volunteer based organization and depends on hundreds of volunteers each year to support amateur golf in BC. 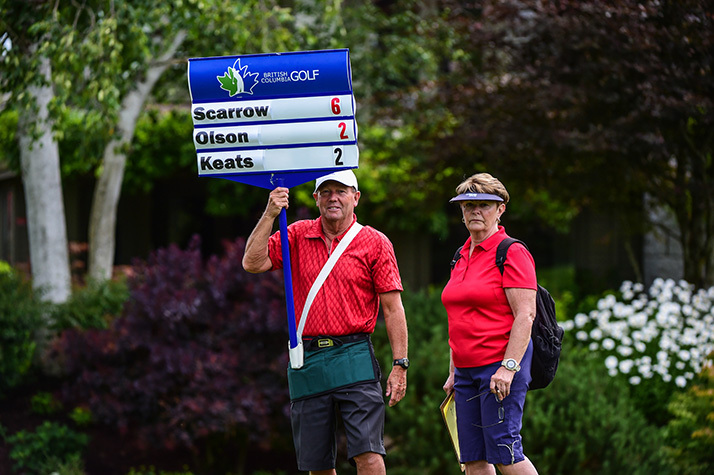 These volunteers contribute valuable time and energy to support and grow the many events and programs delivered by British Columbia Golf. Without their dedication and commitment, we would not be able to provide the extensive programming that enriches and promotes the sport we all love so much. Their tireless service does not go unnoticed and is much appreciated. Our tournament volunteer program was designed to provide volunteers with the opportunity to work at tournaments in a capacity which matches their interest, ability and experience. Individuals with little or no rules knowledge can volunteer for a number of tournament roles. These jobs include acting as an Assistant Starter, Assistant Scorer, forecaddie, walking scorer, standard bearer and scoreboard volunteer. Prerequisite: None, although we encourage these volunteers to attend an introductory rules session. Tournament Officials have some knowledge of the Rules of Golf and how to conduct organized golf tournaments. They may act at provincial tournaments as a Starter, Scorer or Pace of Play Timing Official. They may play a lead role at zone and club tournaments. Referees work at provincial tournaments filling a variety of roles. Primarily they give assistance to players on the application of the Rules of Golf. They may also be asked to mark the golf course prior to the tournament and check course set-up prior to the start of play each day. Refereess also apply the British Columbia Golf Pace of Play and generally ensure tournaments are conducted under the Rules of Golf. Prerequisite: Certified at Level 2, including on-course work, of the Golf Canada Rules Education Program or related experience. Every provincial tournament has an appointed Rules Chair. That person, along with the Tournament Director, is responsible for initial course set-up and marking, scheduling and placement of Rules Officials and ensuring the tournament is conducted under the Rules of Golf. Rules Chairs have demonstrated a thorough knowledge and application of the Rules of Golf and have wide experience with all facets of tournament operations. Rules Chairs are named for each tournament early in the spring. 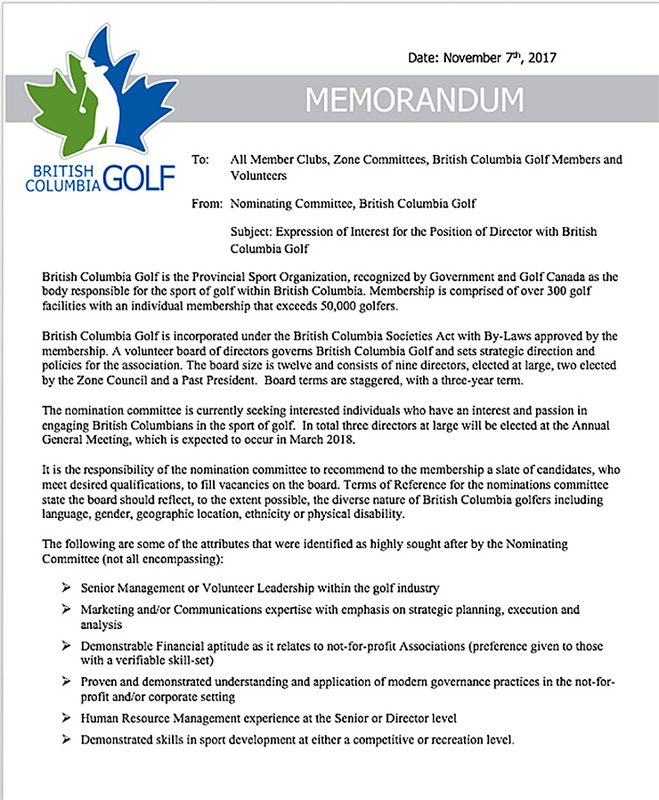 Prerequisite: Volunteers who have completed all the requirements, including on-course work, and are certified at Level 3 or equivalent of the Golf Canada Rules Education Program may act as Rules Chairs at British Columbia Golf tournaments. For further information on Rules, Handicap and Course Rating Education, click here.